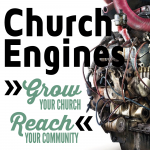 Host a great guest speaker to attract newcomers to your church. In 2010, and again in 2015, we had Michael Franzese as a guest speaker. 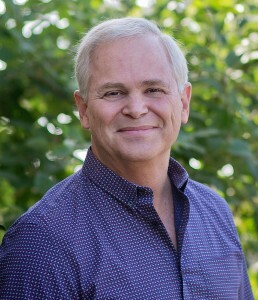 Michael is a former Mob Captain with the Colombo crime family who now travels the country sharing the story of how he came to Christ. It was an amazing weekend for us. Thanks to God’s blessing and Outreach, Inc’s marketing expertise, we had 1,000 guests join us for the weekend. Every service was filled to capacity, including our overflow room. In each service, people came to Christ. Michael ministered and prayed with people at his book table for over an hour after each service. We’ve had other guest speakers, but never one with such wide appeal. The weekend was such a success, it has forced us to think at a new level. Our Management Team debriefed afterwards. Here’s what we learned. 1. It gave us an opportunity to raise the value of evangelism and lower the bar of fear. For several weeks leading up to his coming, I mentioned Michael and played preview videos in each service. For four weeks running, one of our sermon applications was to write down 4-6 names of people we would pray for and invite to hear Michael. We’ve done this before; and people have responded fairly well to the opportunities, but Michael’s story was so unusual that it lowered all the barriers. He responded, “No, the corporate office wouldn’t allow me to do that, but if you give them to me, I’ll pass them out.” And he did. I met a guy who came because of an invitation at the gym! Our staff all agreed that our Michael Franzese weekend was a win even if very few of our guests return because of what it did for our members: it raised the value of evangelistic invitations for them, while lowering the threshold on their fear of inviting friends. 2. 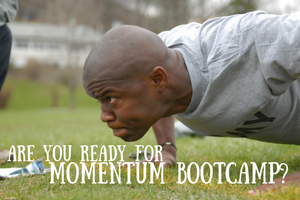 It built momentum for the next big event. The weekend was such a success that we are now set up for a second one. Currently, we’re looking for another unique speaker with wide appeal to come for a weekend in January. I’m confident our people will rise to the occasion again because this was such a good experience for them. 3. It put us on people’s maps. After 18 years of mailing invitations, you’d think everyone would know who and where we are. But they don’t. Hundreds of our guests had never heard of New Song before. And hundreds more had heard of us but never thought about checking us out. The cool part is, many of these people will return. Maybe even cooler is the number of people who didn’t attend last weekend, but now know we exist. If 1,000 newcomers attended, we believe there are potentially tens of thousands who now know of us and may attend in the future. 4. It gave us new volunteers. Every Easter we ask all our people to step forward and serve somewhere. Some of them do it just that one time, but many first time volunteers get permanently assimilated into teams. Because of the size of this event, we were able to make the “big ask” of our whole congregation. Dozens volunteered for the first time. We believe many of them will continue serving, taking the size of our serving core to a new level. 5. It increased our leaders’ status. Following the event, dozens of our people posted on Facebook how proud they were of their church and leaders. The truth is, we didn’t do all that much. God, Outreach, and our inviters get the credit for the number of our guests. But the overspray of a great event has put a new shine on the status of every pastor and leader in our church. With it, we’ll be able to leverage more change, advancement, and growth. As you can imagine, with every upside, there’s a downside. Some of the things we prayed about didn’t happen. We experienced a miracle, but the miracle didn’t change too many every day realities for us. 1. It didn’t make life easier. Before the event, our staff was stretched with all their weekly responsibilities. Those responsibilities weren’t eased by our success, they were compounded. Normally, I write a few dozen first-time guest letters. This week, I didn’t finish the letters until Wednesday at midnight. Normally, our weekly Management Team meeting lasts an hour. This week we went two hours working on solutions to new problems our growth has created. 2. It didn’t help us financially. We spent about $8,000 on postcards, doorhangers, a newspaper ad, and Michael’s speaking fee. We figure our 1,000 guests contributed about $1 per person to our offering, so it will take months of faithful giving to recoup the cost of this event. The cost was more than worth it, but it’s a cost we will have to absorb until our newcomers grow and learn about stewardship. 3. It didn’t endear us to our neighbors. New Song sits at the end of a commercial parking lot. One hundred yards from us is another, smaller church. We were careful to ask our regular attendees to park past that church, so as not to take their spaces, but even with an active parking team, some of our guests couldn’t imagine one church not letting them park to attend another church a few yards away. Some fence-mending will need to be done before this nearby church counts our “win” as a kingdom win. 1. Think through every system ahead of time. Our ushers were primed for a larger group. They performed stellarly. So did our children’s, tech, and music teams. Our office staff printed plenty of extra programs. But, we forgot to order extra donuts. And even a beefed-up parking team wasn’t able to handle the additional cars as well as we’d hoped. Our normal video feed works well for a small group in our overflow room. We found that a bigger crowd creates the expectation of a better video presentation. To accommodate a bigger crowd, we need to think bigger. The upside of this is that we now have a vision of what we need to do as New Song grows into its new size. The downside is, we wish we’d thought bigger ahead of time, since you only get one chance to make a great first impression. Michael spoke for us on the first weekend of the month. Our normal pattern is to celebrate communion on the first weekend of the month, so we did. It didn’t work well at all. Lesson: when you’re doing exceptional things, do away with the normal things. In our case, we’ll move communion to another weekend next time. On the other hand, my participation was as “normal” as possible without doing the preaching. I spent a few minutes welcoming the crowd. I emceed the service and “preached” for three minutes during communion. Along with me, our worship band did their “normal” part of the service. We think these were crucial for us. If we are going to persuade visitors to return, they need to sample the preacher and the music of a “normal” weekend so they can see if they like it. 5. Expect your guest to speak long. Every guest we’ve ever had has struggled to stay within the time limits of our 35 minute speaking slot. Fortunately, our children’s team anticipated this, so our kids were okay. Still, the strain of going twenty minutes long stretched our transitions between services. Our rule of thumb from now on is, whenever we have a guest, we’ll expect him or her to speak long and adjust accordingly. Michael spoke for us on Labor Day weekend. Monday was a holiday for us. Not only did we have more to do as a result of the great turn-out, we had less time to do it. Fortunately, years ago I learned from Nehemiah about the value of celebration. So we took an hour Wednesday morning to share victory stories as a staff, an hour Wednesday night to share victories with our Board, and we made lots of posts on Facebook to let our people know what God had done. It’s funny how stories can become more precious than the event itself, but that’s what we’ve found. A story told is a distillation of the event into its poignant essence. I will remember the feeling of God’s Spirit in our packed auditorium for years, but I suspect the memory of hearing how our Video Coordinator led her neighbor to Christ after the service will be as sweet and strong, and maybe sweeter and stronger, as the years go by. I recently began mentoring a group of nearby pastors. Admittedly, I’m passionate about New Song’s growth, but I’m also passionate about seeing their churches reach their communities as well. So this week I spent some time encouraging them to think about hosting Michael and others like him. I wrote this article for the very same reason. I hope you’ll take the risk of thinking bigger than you’ve ever thought before. 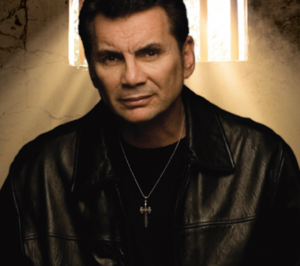 I’m not saying you have to host Michael Franzese, although I do recommend him to you. Try something outrageously beyond what you’ve done before. Take a risk. Think outside your box. Jesus wants to reach your community more than you do. Give him a chance to use you and your church to do it. Even if you don’t succeed, you’ll learn a ton. And the Lord looks on the heart more than on the result. He’ll be as honored by your efforts as he is by your victories. Try something ridiculous and then share the victory with the rest of us so we can imitate it too. 8. Find a speaker with wide appeal. Years ago, we hosted a former Misses United States in our services. Dozens of tweenage girls showed up and mobbed her. A few months later we hosted a retired NFL quarterback. Several jocks showed up with memorabilia to autograph. Once we hosted an aging former rock-star. Aged hippies attended. All of that was fruitful, but what we learned from hosting Michael Franzese is that there are a few special packages out there that can appeal to a very wide audience. A reformed Mob boss appeals to men. A former Mob boss who left a life of crime because of his love for a beautiful woman appeals to women. 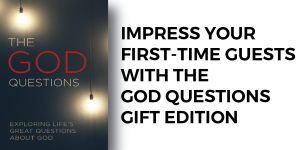 Couple that with a first class communication gift and a story of redemption straight from heaven, and you’ve got a volatile mixture for explosive growth. My greatest lesson learned from our big weekend is that I want to find more unique speakers like Mike because I want to see more people become like Jesus. Awesome insight. We are having ex hit man for the Mexican Mafia minister at Rhema Cape Town North Church, South Africa as we launch our second morning service. Have a blessed 2011 and let me know should you wish to minister in Cape Town. Good for you Roy! I’m sure he created quite a hit! Lori and I would love to visit South Africa some day. I wish it could be soon, but more likely it’s a few years away.